Read More "AP-NORC Poll: Many caregivers neglecting their own health"
The AP-NORC Center’s 2018 survey of long-term caregivers asks Americans about the types of challenges and costs they face providing care. Read More "Long-Term Caregiving: The True Costs of Caring for Aging Adults"
According to a new survey by the Associated Press-NORC Center for Public Affairs Research, 35 percent of caregivers have skipped routine care, 33 percent skipped a recommended treatment, and 31 percent didn’t go to the doctor at all when sick or injured as a result of their caregiving responsibilities. Others cite impacts to their personal finances. 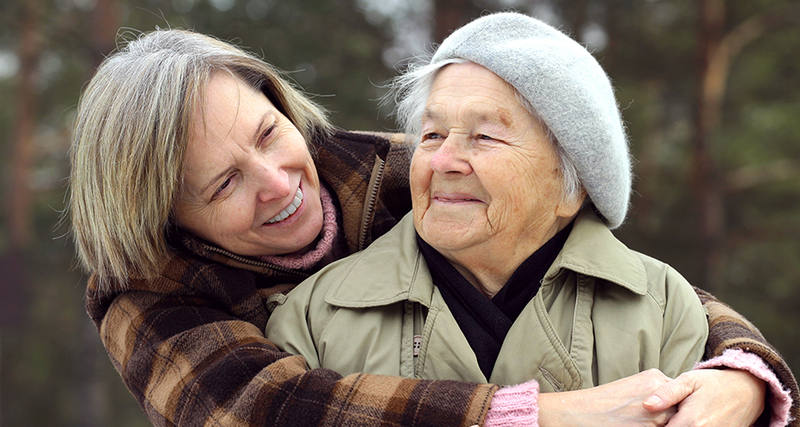 Still, 60 percent say they feel supported in their role as a caregiver. 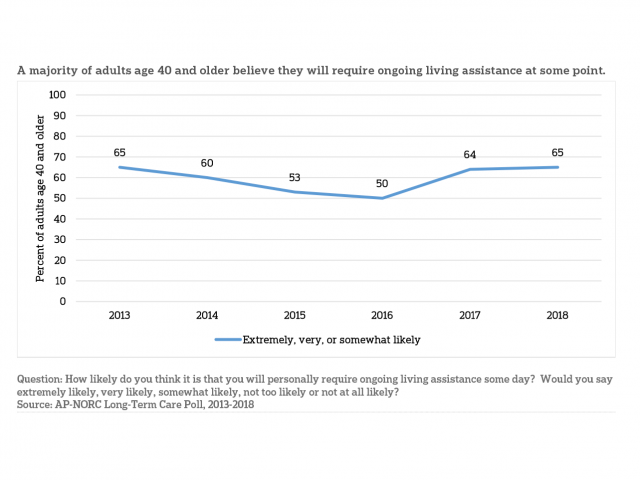 Read More "Infographic – Caregivers often neglect their own needs while providing care"
The population of Americans age 65 and older is growing at an unprecedented rate. In 2014, there were 46.2 million adults age 65 and older, and this number is expected to more than double to comprise about 98 million older adults by the year 2060. How to plan for and finance high-quality long-term care will remain a key policy question for lawmakers in the years to come. 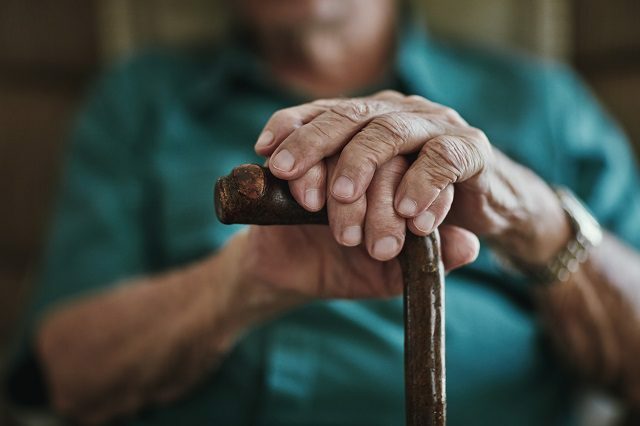 The Associated Press-NORC Center for Public Affairs Research, with funding from The SCAN Foundation, is undertaking a series of major studies on the public’s experiences with, and opinions and attitudes about, long-term care in the United States. Do older Americans expect they will personally need long-term care for themselves in the future? Most Americans age 40 and older expect they will need care at some point. 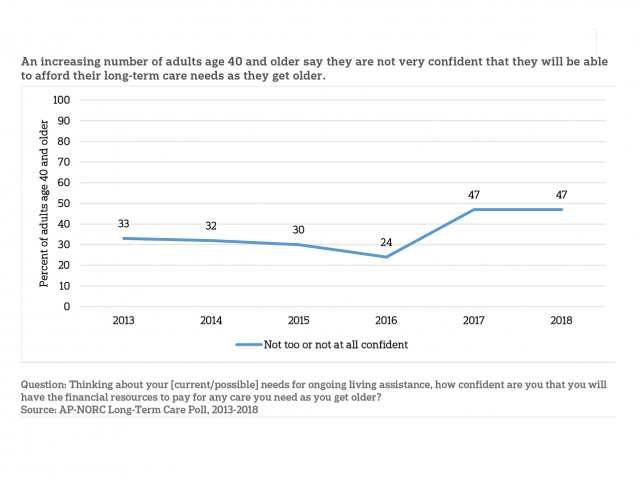 Read More "Do older Americans expect they will personally need long-term care for themselves in the future?" Are older adults financially prepared for long-term care? Many older Americans have not saved for future long-term care and do not feel confident in their ability to pay for it in the future. Read More "Are older adults financially prepared for long-term care?" 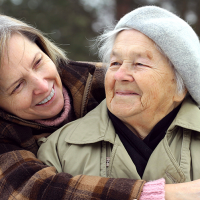 Do older Americans expect to provide long-term care to a loved one? Most Americans age 40 and older expect to provide care to a loved one in the next five years. 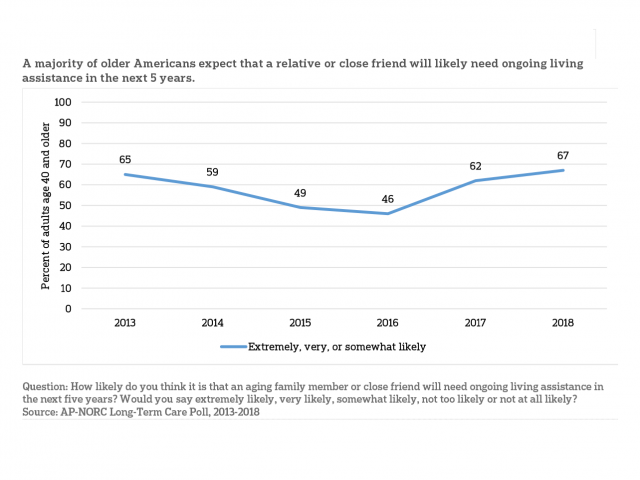 Read More "Do older Americans expect to provide long-term care to a loved one?" What policies do adults age 40 and older support to help Americans pay for long-term care? 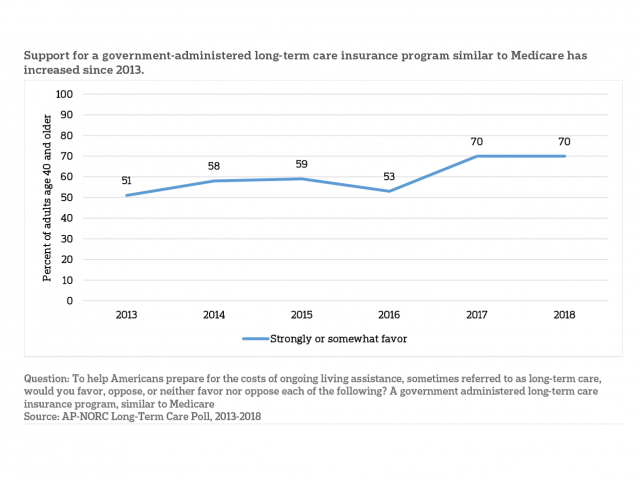 Americans support policies like a government-administered long-term care insurance program and tax breaks for purchasing long-term care insurance. Read More "What policies do adults age 40 and older support to help Americans pay for long-term care?"